Hundreds of police in riot gear were discretely lined up on side streets to monitor revelers. Typically, celebrations in France end up with some broken shop windows and other destruction, and Sunday was no exception. 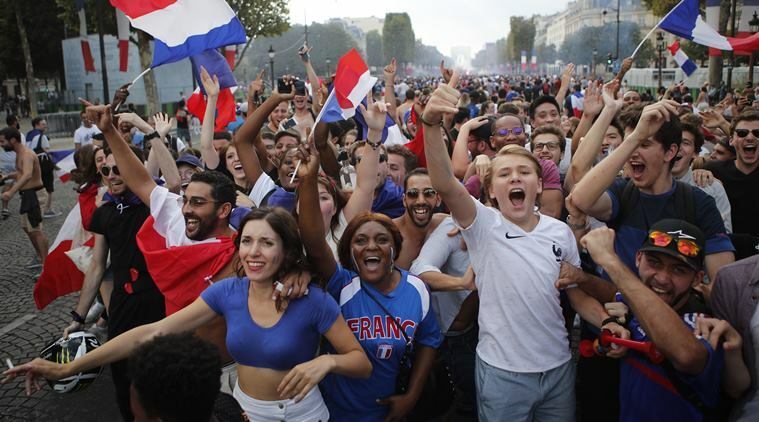 Paris: It was a victory for all of France and the home crowd did it justice, pouring into Paris’ Champs-Elysees Avenue by the tens of thousands to celebrate in an explosion of joy. 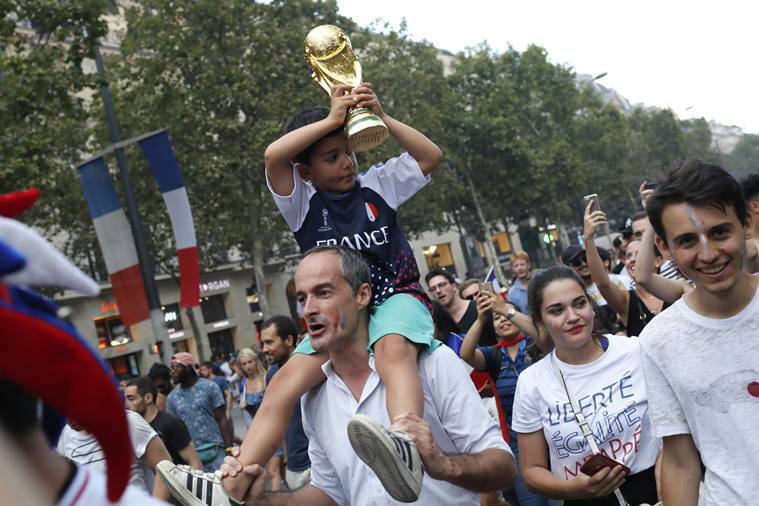 France’s 4-2 win over Croatia in the World Cup final in Moscow on Sunday marked the second time in 20 years that France has won the World Cup, and came at a time when the people feel needy. “It represents enormous things,” said Goffrey Hamsik, dressed in a hat resembling a rooster — the French national symbol — and a shirt with the No. 10 for Kylian Mpappe, the 19-year-old breakout star who hails from the Paris suburb of Bondy. 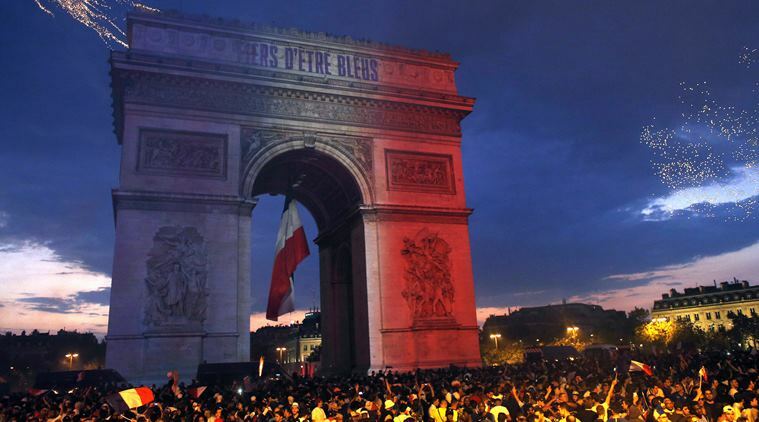 Revelers set off smoke bombs in the national colors — blue, white and red — obscuring Napoleon’s triumphal arch. People climbed atop every newspaper kiosk and bus stop in the area to wave flags and lead the crowds below in cheers. The national anthem, the Marseillaise, rang out, cars honked horns and cherry bombs cracks. A young man sprayed a fire extinguisher on the crowd on a late hot afternoon. Hundreds of police in riot gear were discretely lined up on side streets to monitor revelers. Typically, celebrations in France end up with some broken shop windows and other destruction, and Sunday was no exception. Tear gas was lobbed at one point on the Champs-Elysees. 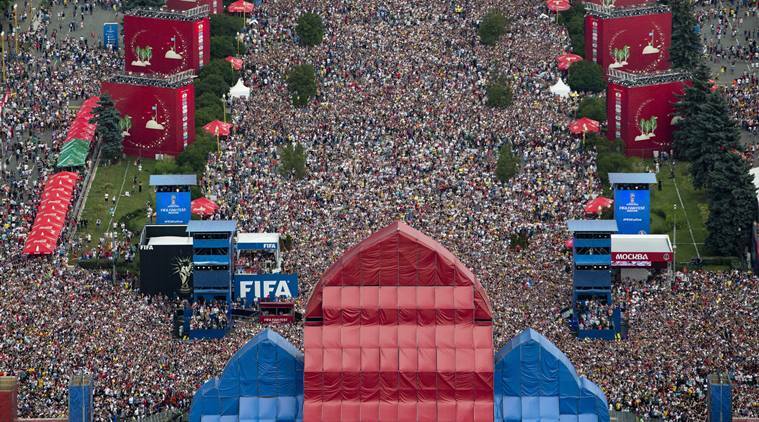 About 4,000 police watched over the fan zone — packed to its 90,000 capacity — during the match, then moved to the Champs-Elysees and neighboring streets. As night fell, The Eiffel Tower flashed 1998-2018 to mark France’s two World Cup titles. 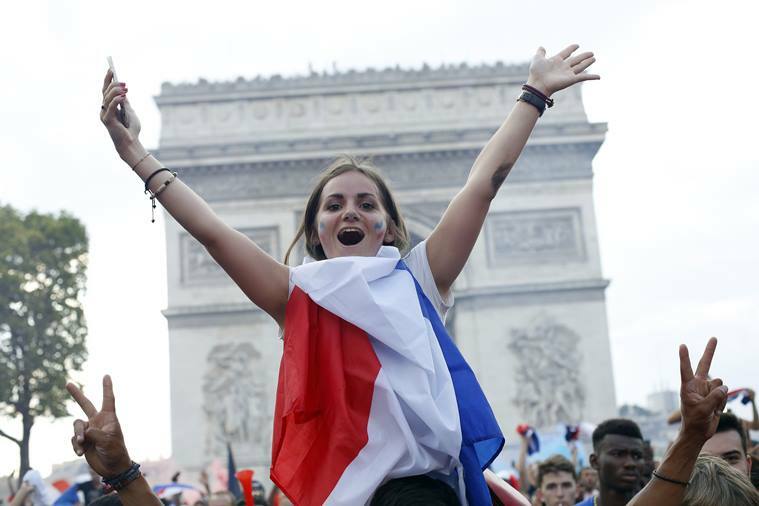 The Arc de Triomph was awash in the national colors, lit with the rooster, the faces of the winning team and the words “Proud to be Blue,” or French. For all the crazy antics — and some revelers who got out of control — a sense of patriotism and unity was almost visceral. Antoine Griezmann, the France striker who scored one of the goal’s Sunday, told a news conference two days before the final, televised on BFM TV, that pride in country is in short supply. 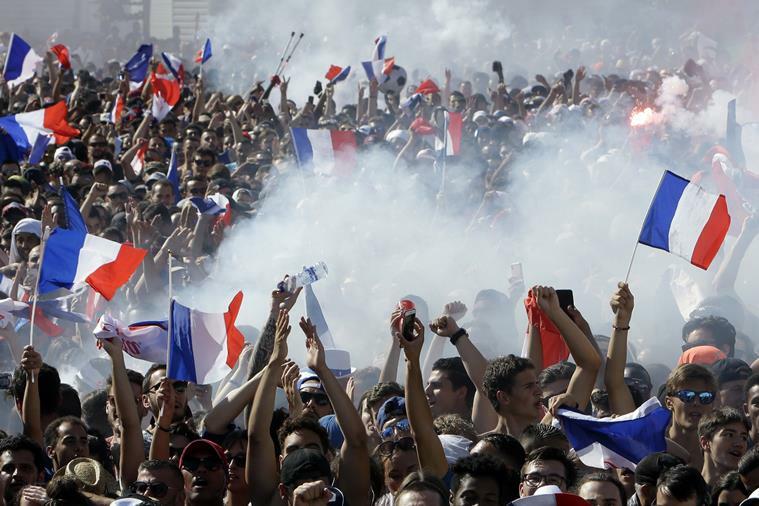 “We say it so little … We should be proud to be French,” Griezmann said. Mahmoud Bourassi was among those taking a longer-term view and he had some sobering thoughts about France’s run to the title and the festivities it has sparked. Bourassi runs a youth center in Bondy — Mbappe’s home that was among those scarred by riots in 2005 that exposed the fissures of France that have yet to heal — and he knows the teenage star of the tournament. But, he added, it must be built on. That is a question for President Emmanuel Macron, who was in Moscow celebrating with the team on victory night, and will receive the squad more formally on Monday at the presidential Elysee Palace. Revelers celebrated the moment. “We’re happy. It took 20 years … It’s the pride of the nation. It unites everyone. It federates,” Frederique Pourquet said as she and her friend left the Champs-Elysees.